At Schrader’s, we love fast street cars. We also like to drive them on the street, every day if possible. 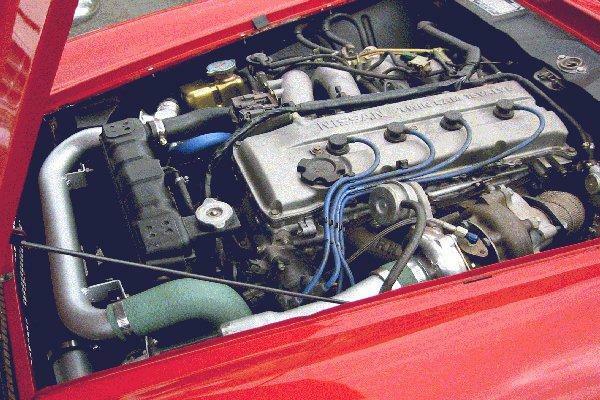 Not too long ago having a fast street car meant having to put up with a laundry list of issues like overheating, terrible gas mileage, fouling plugs and nearly constant maintenance. All this changed about 10 years ago when turbocharger design took a huge leap forward and guys started putting them on modern fuel injected motors. The result has been the best of both worlds, outrageous horsepower numbers with perfect street manners. From the Nissan SR20DET and KA24DET to Ford’s 2.3 four cylinder and GM’s mighty LS platform, we have designed and fabricated turbocharger systems for street cars with great success. Please feel free to contact us directly to discuss making your dream a reality. SR20DET swapped into a 1967 Datsun Roadster. We built the entire turbo kit from scratch. This is a 6.0 LS based iron block motor with a Turbonetics TC78 swapped in a 1961 Impala. We built the entire turbo kit from scratch, this made 500 plus RWHP on pump gas and only 10 pounds of boost. Here's a 1969 Triumph TR6 with a Nissan RB25DET swapped in. This custom kit features custom built everything from manifold to charge pipes. Here's a 1954 Corvette with an LS based 4.8 iron block motor. It has a Comp Turbo T72, we built the entire turbo kit from scratch in house. This combination made in excess of 500 RWHP on pump gas and 12 pounds of boost. Here's an early one we built, it's a KA24DE swapped into a 1967 Datsun Roadster. It has a custom turbo kit based on a hybrid T3/T4 turbo. It was never on a dyno but this thing was a handful and surprised a Viper one night on the freeway! This 1994 Mazda RX7 had an all aluminum LS2 swapped in, we added ported LS3 cylinder heads and an LS9 camshaft. 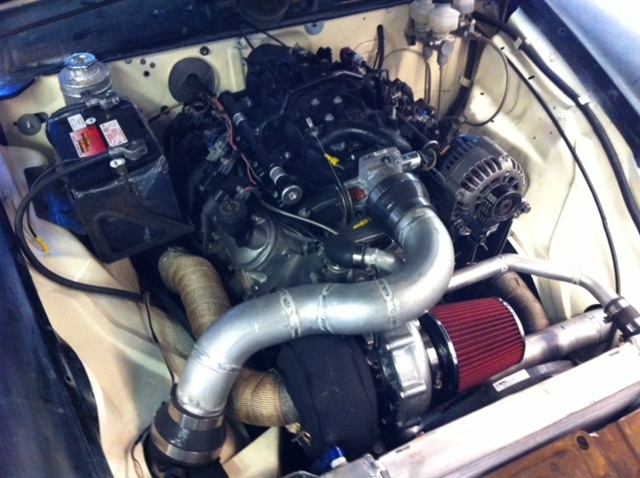 We also built a custom turbo kit based on a twin scroll S471, it made 680 RWHP on pump gas and only 10 pounds of boost. We built this 1954 Studebaker with a 5.3 LS based iron block swapped in. It was completely stock including the truck intake, we added a TU-1 camshaft from Speed Inc and a custom built turbo kit. It was based around a T4 flanged Master Power T76 turbo, on pump gas and 12 pounds of boost it made about 500 RWHP before it destroyed a tire on the dyno.